Add storage with rustic attitude to your home with the 4 Drawer Rustic Accent Chest by Cambridge Home. 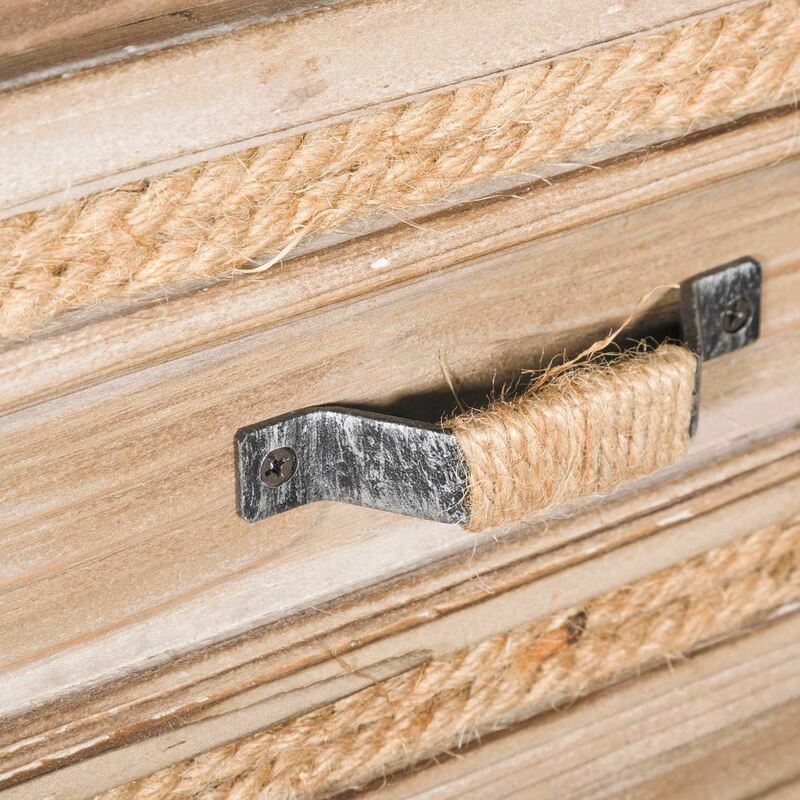 This chest has a simple silhouette that shows off the distressed, weathered finish and the rustic metal and rope details on the four drawers. Its smaller size allows you to use it to add storage and style to any room in your home. 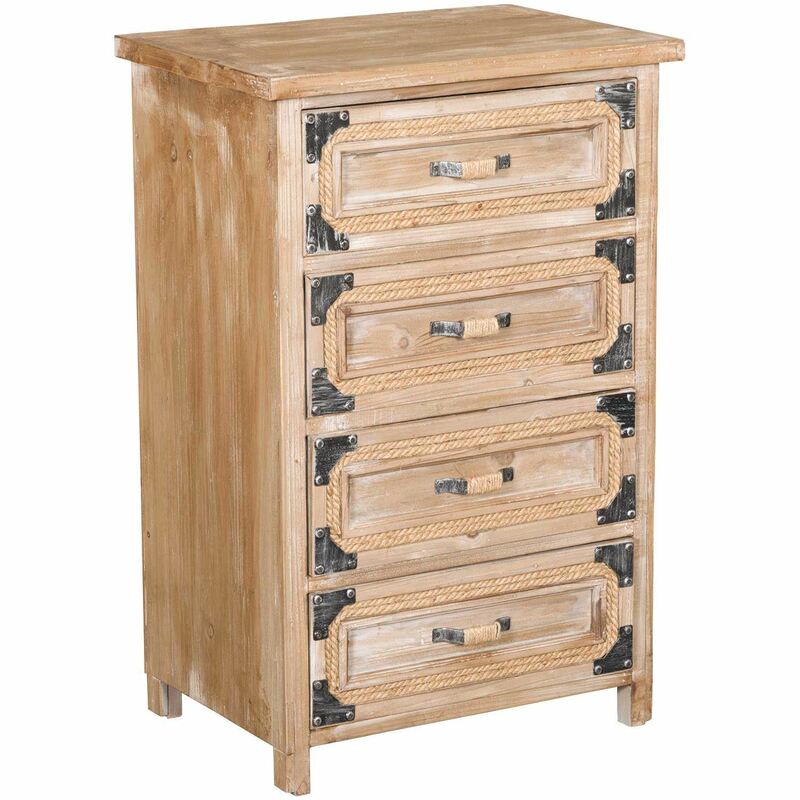 Add storage with rustic attitude to your home with the 4 Drawer Rustic Accent Chest by Cambridge Home. 4 Drawer Rustic Accent Chest from Cambridge Home. This great piece can be used in any room. Its rustic design is accented by metal details and spacious drawers. Drawers can be easily removed.